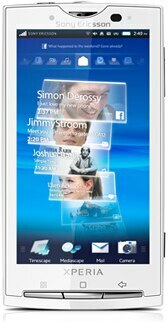 It’s been nearly three years since the Open Handset Alliance has been unveiled. In smartphone time, that’s equivalent to an eternity. Today, if you’re on AT&T and want to rock a 3G Android phone, your options are super slim. Sure, you could import a European HTC Legend or Desire, or even unlock a G1, but you will not get 3G data. So what options remain? 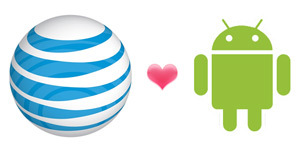 Here’s a run down of your best options for an Android 3G device on AT&T! This is AT&T first (and only) Android device. It has an interesting form factor that may appeal to the quirky among us, but it’s a bit limited in a few ways. First, the screen is only HVGA resolution and is a tiny 3.1″. Second, it’s rocking Android 1.5, not the latest 2.1 (though an update is expected in Q3). Third, you cannot install non-Market apps onto the device. In our testing, we’ve found the Backflip to be a generally capable device if you’re doing light multitasking and basic web, but for the power-user, the Backflip is weak thanks to software that feels slow. That said, the price is pretty good at around $100 with a new contract from AT&T. While this phone isn’t selling through AT&T, you can get it unlocked, but you’re going to pay. Over at Clove, you can grab one for £389, which is around $600. The XPERIA X10 is one of the most capable Android devices, rocking the Snapdragon 1GHz CPU with 256MB of RAM, and an included 8GB of storage space with the microSD card. The screen is huge at 4.0″ with fantastic 854×480 resolution (that’s better than WVGA). Also, the camera takes photos at 8.0MP, which is very high for any smartphone. 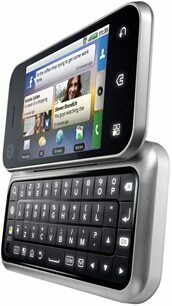 Sadly, the X10 ships with Android 1.6, though we expect Sony Ericsson to give it the 2.1 upgrade in the future. It also includes the proper bands to give you 3G on AT&T’s network. Downsides to the X10 includes a questionable software experience. The X10 uses Sony Ericsson’s proprietary Rachael skin which includes the Timescape and Mediascape interfaces. Basically these are fancy interfaces that toll the battery and CPU too much…when we had hands-on time with the X10 at CES, we weren’t terribly impressed. As of just a few weeks ago, you can now get a Google Nexus One with the proper bands to get AT&T 3G. As a reminder, the Nexus One launched with only T-Mobile 3G back in January of this year. The AT&T version was a very quiet release, but for those of us on AT&T, it’s a huge win. 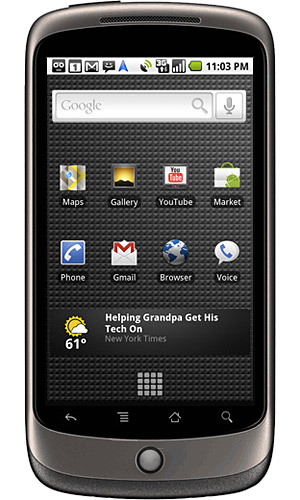 The Nexus One represents the best hardware and software interplay that is available for Android right now. Like the X10, it’s running with the juicy Qualcomm Snapdragon 1GHz CPU, but adds more RAM…512MB to be exact. The screen is a nice 3.7″ and uses AMOLED technology to make colors super vivid. The interface is very light weight…it’s not heavy like the Rachael interface, but it’s also not as eye-pleasing as HTC Sense (found on the HTC Hero, Legend, Desire, Droid Incredible, etc). That said, there is a vibrant development community for the Nexus One, so after you root it, you can install a wide variety of ROMs onto the device, even the Desire ROM. Speaking of software, you can be sure that Google is going to release new versions of Android to Nexus One users first. Rumor has it that Nexus One owners could be getting Android 2.2 in a few months. Downsides to the Nexus One on AT&T? Well, the price is still $529 through Google, with no subsidized price available. Another downside to the Nexus One is that the screen exhibits poor outdoor visibility. AMOLED technology is fantastic indoors, but outdoors, it’s a different story. I’m sure there are a few Android phones I haven’t mentioned that do 3G on AT&T (more specifically, phones that possess the UMTS 850 and/or 1900 bands). For example, there’s also the Acer Liquid, which comes in at a reasonable £284 or $440, but I’ve personally used this device, and it’s hampered by poor build quality and software that is buggy. Are you on AT&T with this same problem? Do you plan on buying any of the above devices?